From the almshouses of seventeenth-century Puritans to the massive housing projects of the mid-twentieth century, the struggle over housing assistance in the United States has exposed a deep-seated ambivalence about the place of the urban poor. 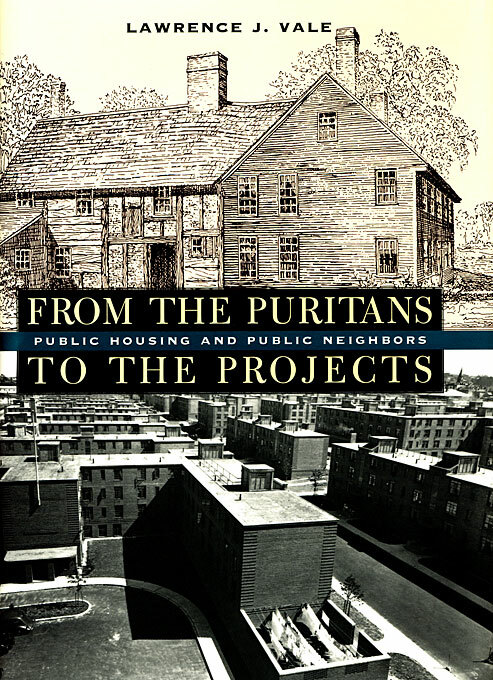 Lawrence J. Vale’s groundbreaking book is both a comprehensive institutional history of public housing in Boston and a broader examination of the nature and extent of public obligation to house socially and economically marginal Americans during the past 350 years. First, Vale highlights startling continuities both in the way housing assistance has been delivered to the American poor and in the policies used to reward the nonpoor. 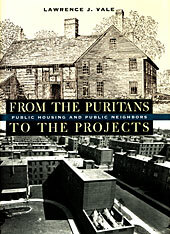 He traces the stormy history of the Boston Housing Authority, a saga of entrenched patronage and virulent racism tempered, and partially overcome, by the efforts of unyielding reformers. He explores the birth of public housing as a program intended to reward the upwardly mobile working poor, details its painful transformation into a system designed to cope with society’s least advantaged, and questions current policy efforts aimed at returning to a system of rewards for responsible members of the working class. The troubled story of Boston public housing exposes the mixed motives and ideological complexity that have long characterized housing in America, from the Puritans to the projects.